Whenever something good or bad happens in our life, we tend to think about the reasons which caused the same. 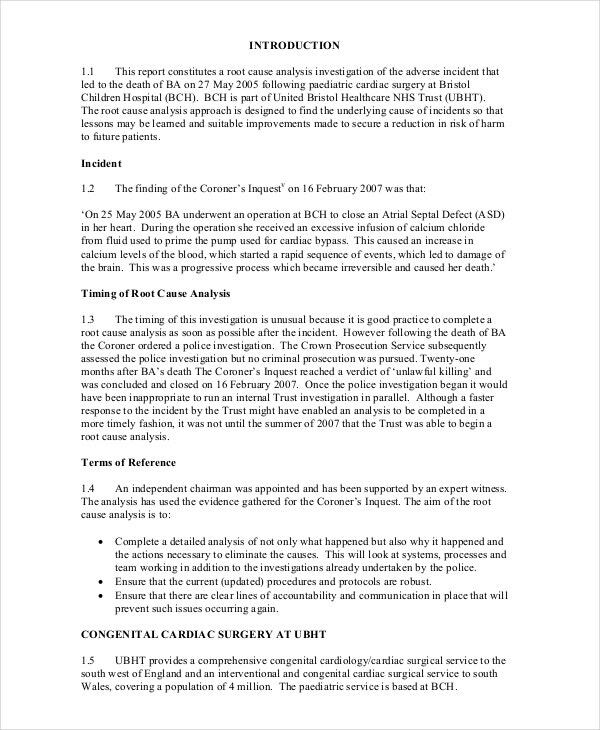 Though this act appears to be a post-mortem, it adds a lot of value in terms of moving forward in the future. Analysis Templates help in doing such analyses in an organized manner. 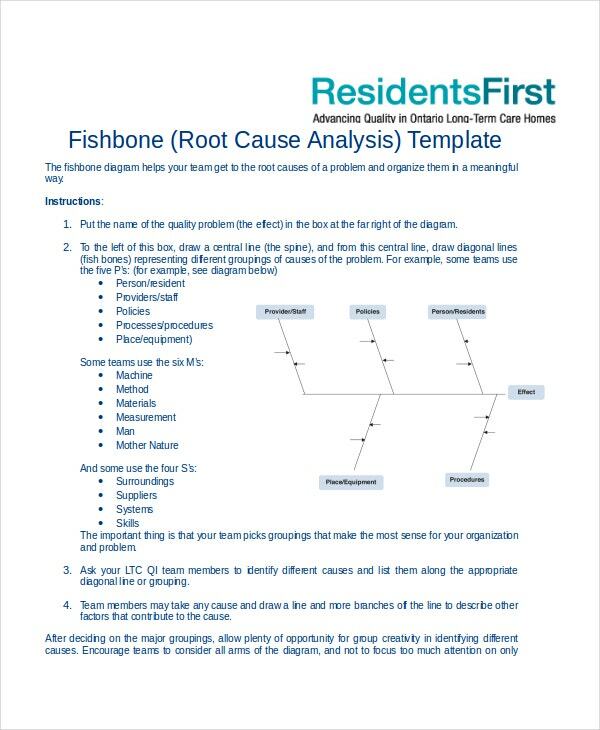 Fishbone Diagram is one of the formats that help people do Root Cause Analysis designs and it is in fishbone design. 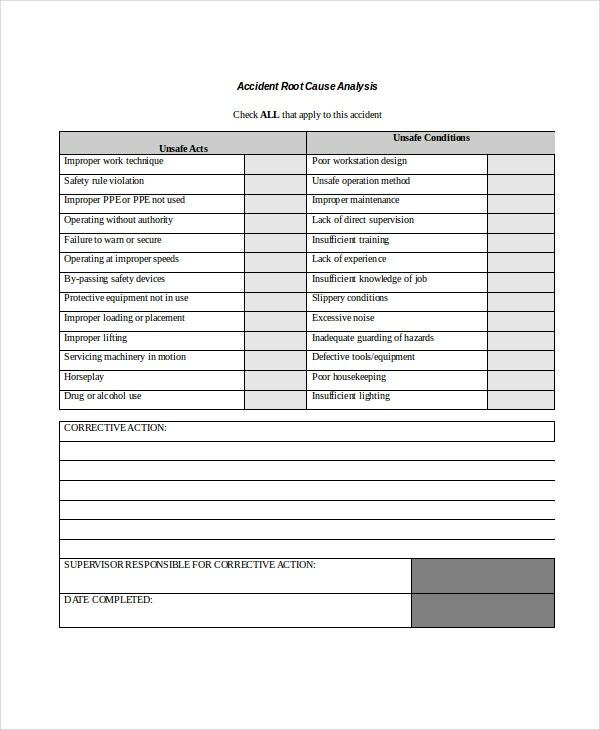 Root Cause Analysis Report Template is a format that can be used in many fields. This format analyses the basic cause that has lead to a particular condition of things. 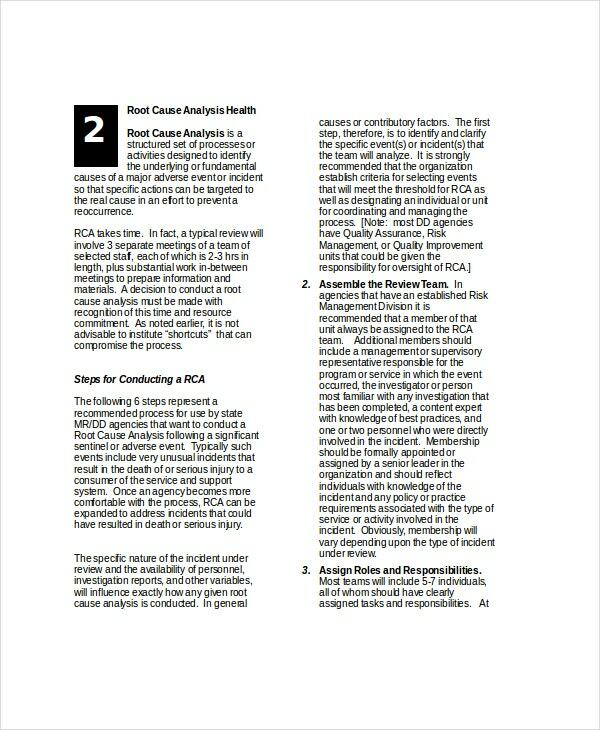 Root Cause Analysis Template in Healthcare is a format that captures the basic reasons that have led to a typical medical condition. This format can be customized by Medical Professionals to suit their requirements. Root Cause Analysis Fishbone Template is a basic format that symbolizes a fishbone diagram template. It is used to analyze the basic reasons which have led to an existing business climate. 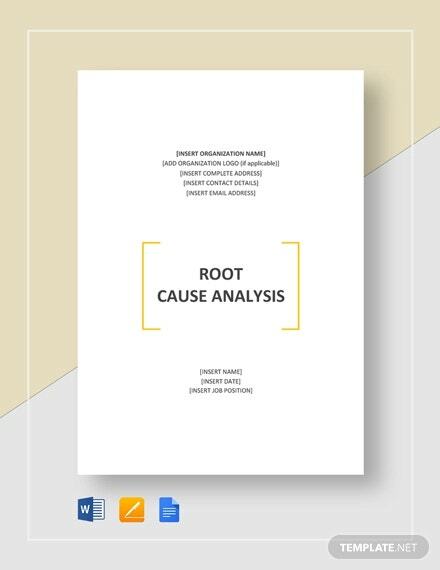 Business Root Cause Analysis Template is a format that captures the reasons that have contributed to a particular business condition. It is a simple format which can be modified by business houses. 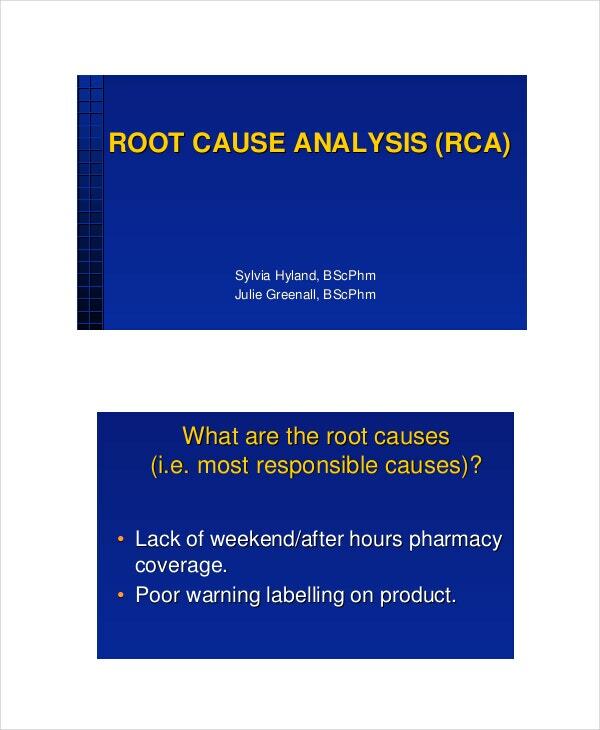 > How to use Root Cause Analysis Templates? 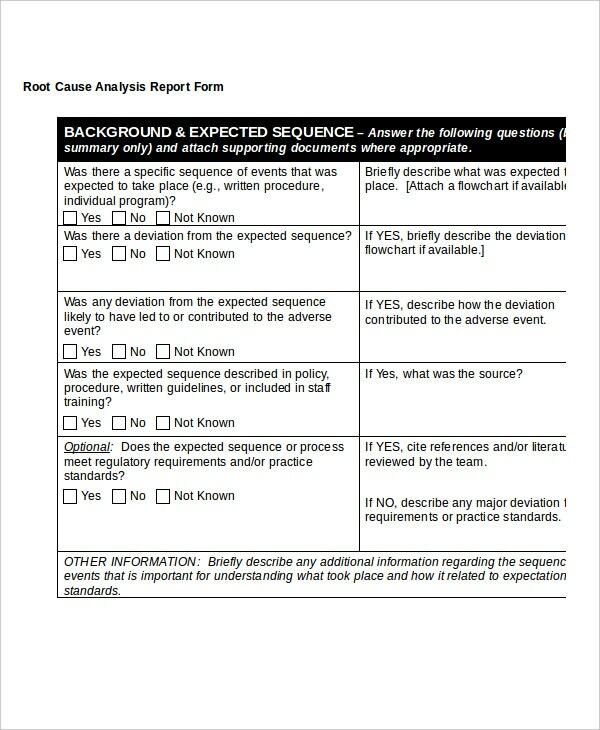 Root Cause Analysis Templates can be used to analyze the basic reason that has caused an incident or issue. Root Cause Analysis Templates help analyze the reasons for such happenings in a complete end to end manner. When done with due diligence and in a meticulous manner, these templates work out in such an efficient manner that people can find out the exact cause for a happening. This will help individuals as well as business houses to take preventive measures for such happening from recurring. Root Cause Analysis Templates must be used by every organization to understand the exact reasons for their downfall. 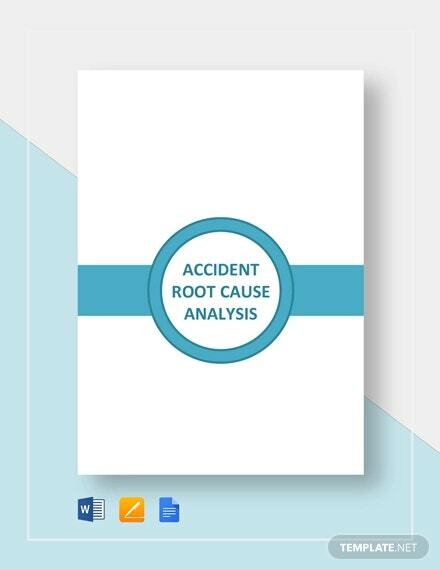 Accident Root Cause Analysis in Word is basically a Word format that captures the basic reasons that have contributed to an accident. This word format can be customized by users to suit their needs. 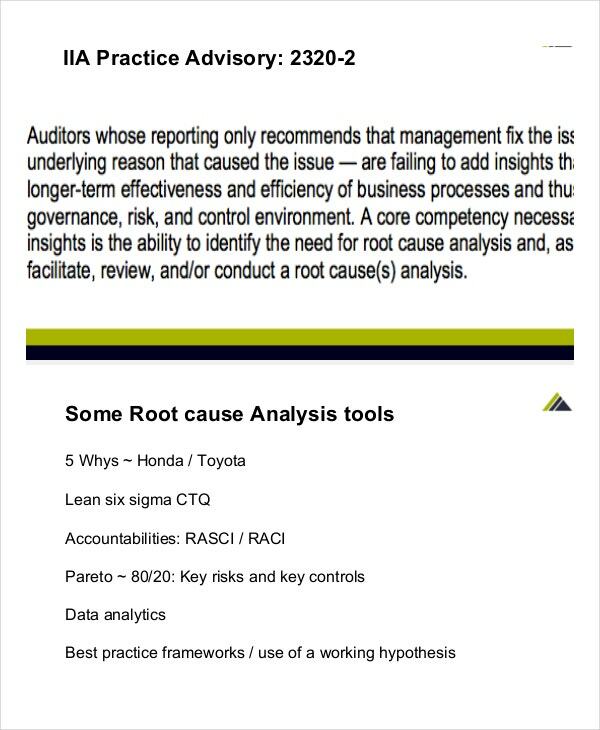 > Who benefits from Root Cause Analysis Templates? 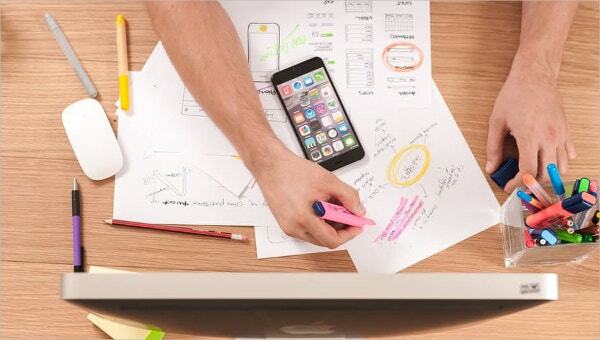 People who belong to different fields benefit from the Root Cause Analysis Templates. 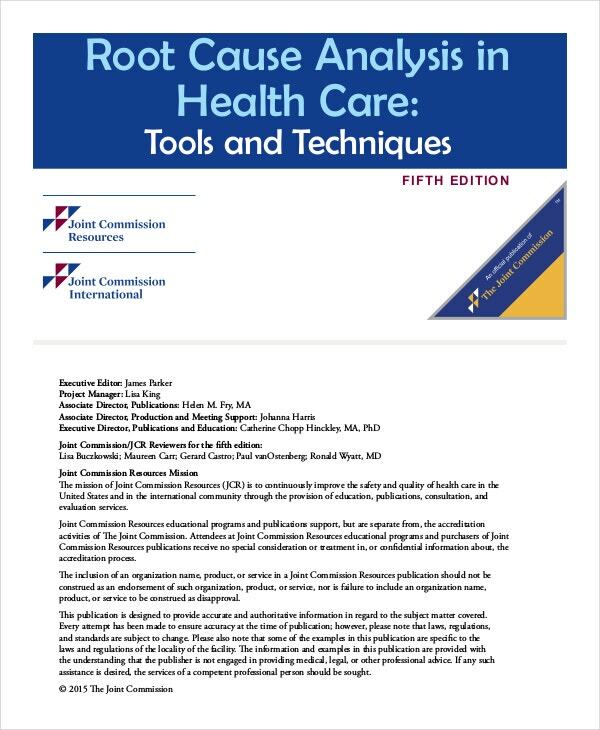 Root Cause Analysis Templates help Medical Professionals and patients to understand the basic reasons for ailments. These findings help them to decide on the course of treatment in the future. 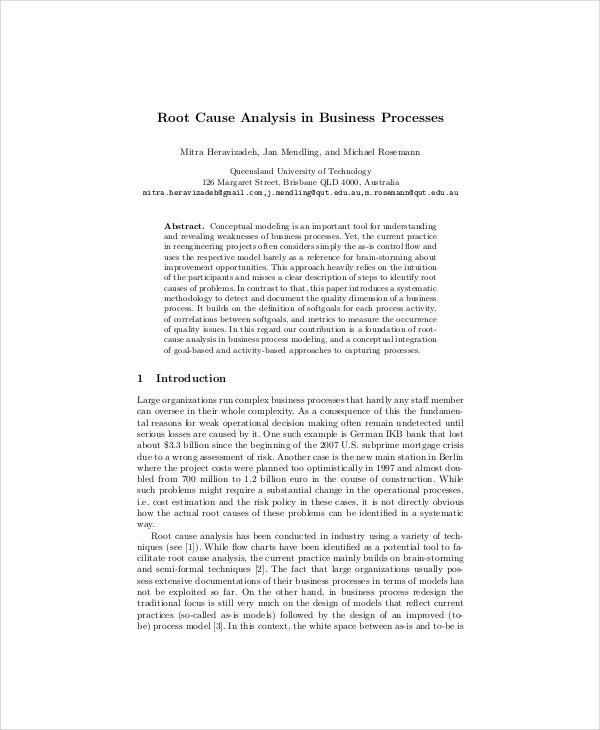 Root Cause Analysis Templates help people in many types of businesses to understand the basic reason that has caused a particular business condition. When business houses understand this, it will enable them to take corrective actions for business success in the future. Root Cause Analysis Templates enlighten people belonging to various fields to understand their shortcoming which can protect them eventually.